Gatekeeper Ventures are an early-stage venture capital firm focused on building world-class technology companies. 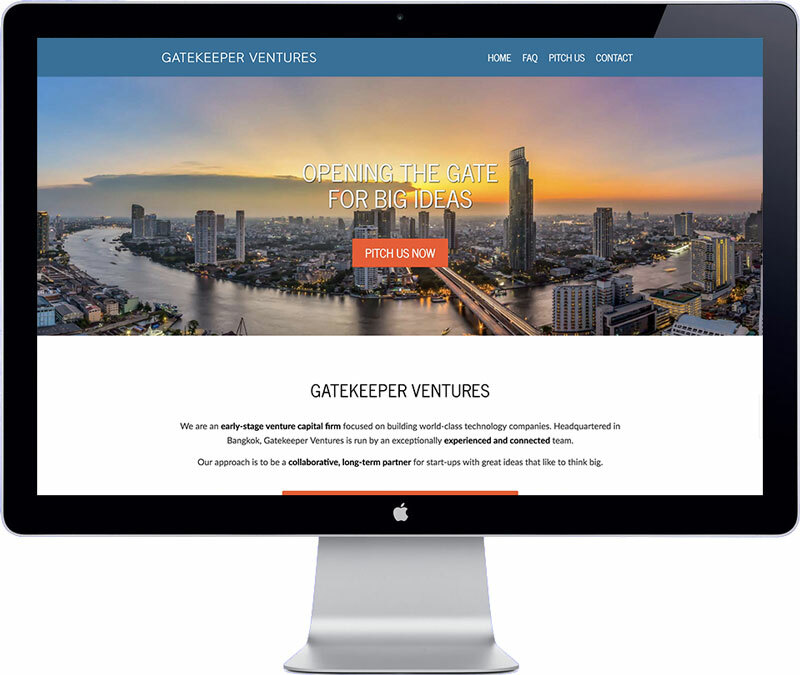 Headquartered in Bangkok, Gatekeeper Ventures is run by an exceptionally experienced and connected team. The Gatekeeper Ventures website is a small website to display company information and has an option to sent a pitch through a contact form. The website is simple to edit or update, it’s optimized for search engines (SEO), loads fast and is secure. The website has been developed with WordPress Content Management System.